Railway technology and the sensors used in trains require a high degree of safety and reliability. Since 1991 EPHY-MESS is a listed sensor supplier by leading producers of rolling stock equipment. In 2009 almost two billion commuters and tourists took advantage of the railway in Germany. The desire for more mobility, faster accessibility, high comfort and efficient environmental protection increase immensely the importance of traffic technology and especially of railway transportation. 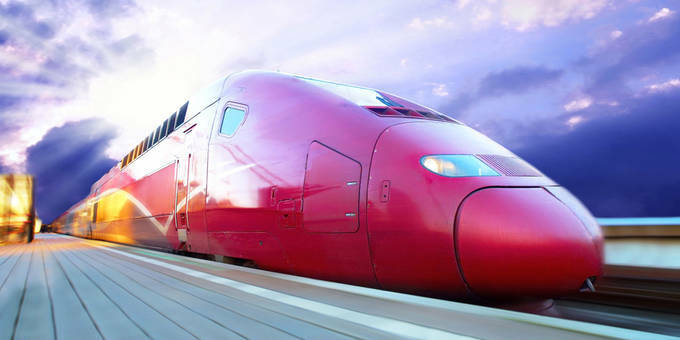 Particularly the sensors in high-speed trains must work with absolute reliability under different operating conditions. EPHY-MESS temperature sensors, speed sensors and oil level gauges meet these requirements and have proved themselves in world-renowned international trains. Forces created by shocks require that the sensor elements possess a special internal structure to ensure the continuous capture of reliable measuring values. Over the years EPHY-MESS has gained valuable experience and a thorough knowledge of this technologically demanding field. This modular concept - developed especially for rolling stock - enables quick and cost-effective integration of various sensors in a sensor system. Beside temperature sensors, speed sensors can also be integrated in the EPHY-MESS sensor concept. Single modules can be mounted to one completely assembled multi-arm harness. Rotary encoder based on incremental encoder determine reliably the rotational speed and rotational direction. Oil level glasses are used to check the oil level in traction gearboxes and are suited for the use in rough industrial environments..